With two draws daily, the excitement is around the clock with Multi Keno – a lottery game offering a staggering €6 million jackpot on every draw. Multi Keno sees 20 balls drawn from numbers 1 to 80, with players selecting between one and 10 numbers when betting. Stakes start from €1, but if you choose a higher stake, your winnings will be multiplied by that amount. You can also use the QuickPick option to have numbers automatically selected for you. Multi Keno draws take place at 14:00 and 21:40 (CET) daily. One of the big draws of the Multi Keno game is its mega twice-a-day jackpot of €6 million. If you stake €10 and match 10 numbers, you will win €600k. 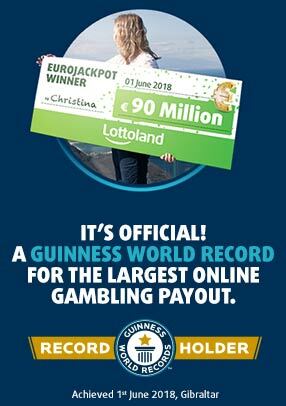 Take advantage of the Plus option and you will see your winnings reach the mega €6 million jackpot! Select the Plus option when purchasing your ticket (available for double your stake) and see your winnings boom. The Plus number is the last of the 20 numbers to be drawn. If your final number matches it, your winnings will be multiplied!